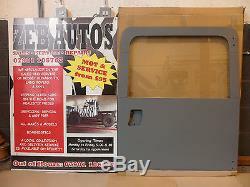 New 90/ 110, Defender, Series II & III Bearmach Unheated Glazed Rear End/Safari Door. Like us on Facebook for more info. 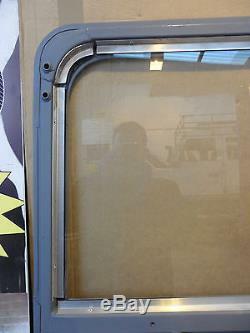 Here for sale we have a brand new fully glazed Bearmach safari back door. Suitable for Land Rover 90, 110, Series II, Series III & Defender. Why have hassle of transferring your glass from your old door spending hours struggling to get all the little screws out of the securing rails & cleaning old window sealant off the glass. When you can have fully glazed door cheaper than most unglazed doors for sale. In most cases just unbolt your old door, transfer your handle to this door and bolt it up to your Land Rover in less than an hour. Please note depending on age of your vehicle you may need to do the below to the door. 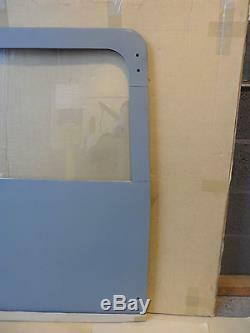 If fitting the door to a Land Rover with the middle hinge fitted you will need to drill the middle hinges holes into door skin. 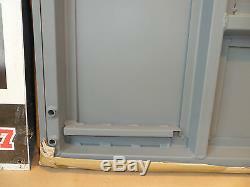 The holes are already in the door frame so don't worry you wont need to measure anything or compare it to your old door. 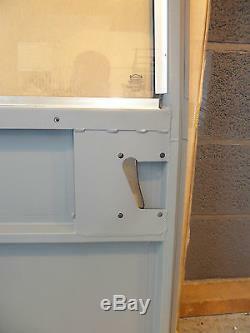 Depending on your handle/ door lock assembly type you might have to drill a hole in the door skin for the lock hole (We can supply a generic paper template if needed, but please compare it to your old door lock hole position). Over the years Land Rover changed the rear door check strap many times so depending on age of your vehicle you may require a different check strap or modification to your current one. The glass in the door is unheated. 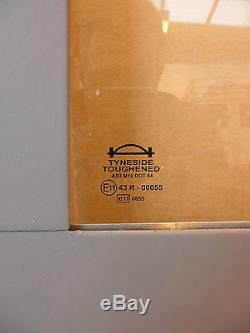 Please note this door is collection only from Preston in Lancashire. 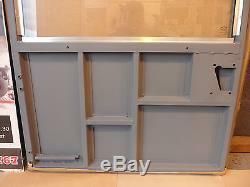 We are an official Bearmach supplier so we can supply any other parts you may require for your Land Rover. Located near Preston & Southport. Viewing is available and preferred. The item won't be released until funds have cleared. No overseas buyers or scammers (overseas exporters will need to find a uk agent willing to pay cash on their behalf). Low feedback ebayers to contact me first. 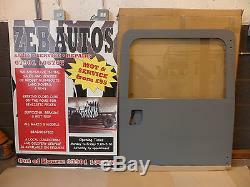 All images & text are property of Zeb Autos and are not to be used without our prior consent. 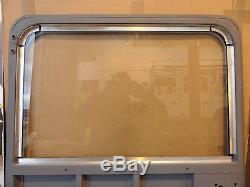 The item "Bearmach Land Rover Glazed Rear Back Safari Door 90 110 Defender Series II III 3" is in sale since Thursday, November 10, 2016. 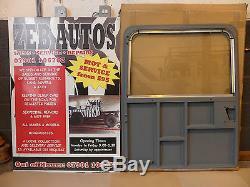 This item is in the category "Vehicle Parts & Accessories\Car Parts\Exterior & Body Parts\Doors & Door Parts". 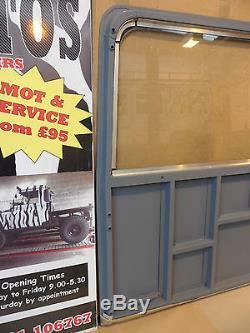 The seller is "zebv8" and is located in Preston.